Has a broken-down water boiler left you out in the cold? Whether you need water boiler repair or replacement, All Done HVAC is your New Jersey water boiler repair & water boiler replacement expert. Our service pros will make sure you have all the heat you need, when you need it. We offer fast, courteous service for repair of all types of water boilers and expert service & installation on all types of new water boiler replacement systems. Call 201-540-0977, 24 hours a day for all your water boiler repair and replacement needs. Don’t shiver in the cold – call now for 24 hour water boiler repair service. In NJ’s freezing winter temps, a malfunctioning water boiler is an emergency. If your water boiler is making odd noises or not providing enough heat, we can make your home more comfortable with one visit. All Done HVAC is on call for all your water boiler repair needs. Our plumbing professionals offer fast, friendly service & expertise in the repair of all water boiler makes & models. Our plumbing pros will recommend & install the best boiler replacement option for your home or building. We have extensive experience with all types of boiler systems and will help guide you in selecting the best & most economical boiler for your home or office. Water boiler systems are not complex. Call the pros at All Done HVAC for your new water boiler replacement. You’ll get the benefit of our expertise in water boiler systems along with our professional, courteous service. 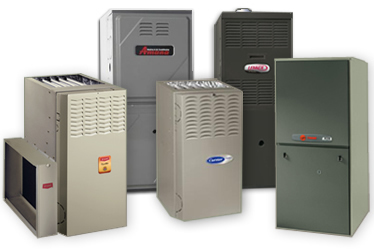 All Done HVAC is your northern NJ expert in the professional repair, replacement, and service of all types of water boilers & water boiler systems. All Done HVAC is your NJ water boiler repair and replacement partner, providing expert professional service and advice. Our 24 hour water boiler repair and replacement services are just a phone call away. Call today for water boiler service. In just one visit, the plumbing pros from All Done HVAC will make sure your water boiler is in shape & ready for winter.